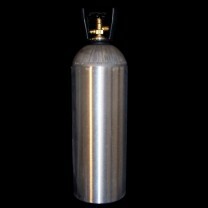 The cylinders are great for using pneumatic launchers where there is no air compresser available. 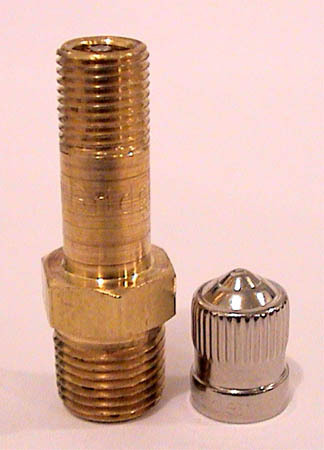 Just add one of our regulators to regulate the presure down from about 800psi to 125psi or less. *Note: The 2.5lb and 5lb clyendars don't have the plastic valve guard. Because of the size and weight of the larger cylinders there may be an additional shipping charges. Be sure to select the cylinder size you want below before adding it to your shopping cart. These are estimates based on each shot using about 22g or .776oz of CO2. Actual results may vary. These are estimates based on each shot using about 4oz of CO2. Actual results may vary.